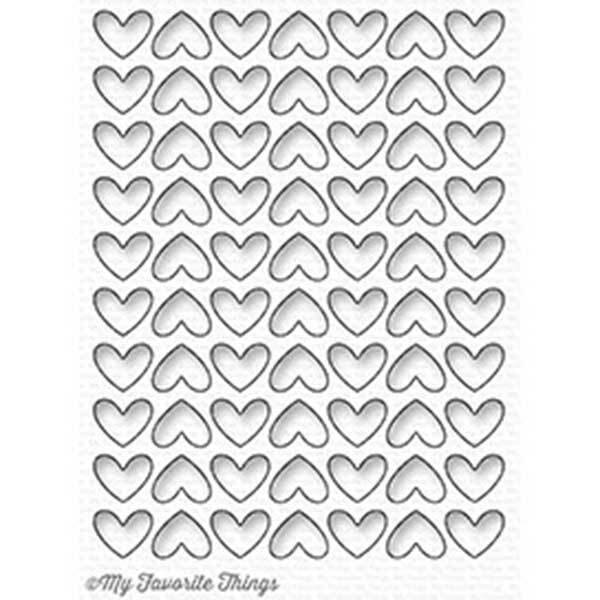 Die-namics Full of Heart by My Favorite Things. 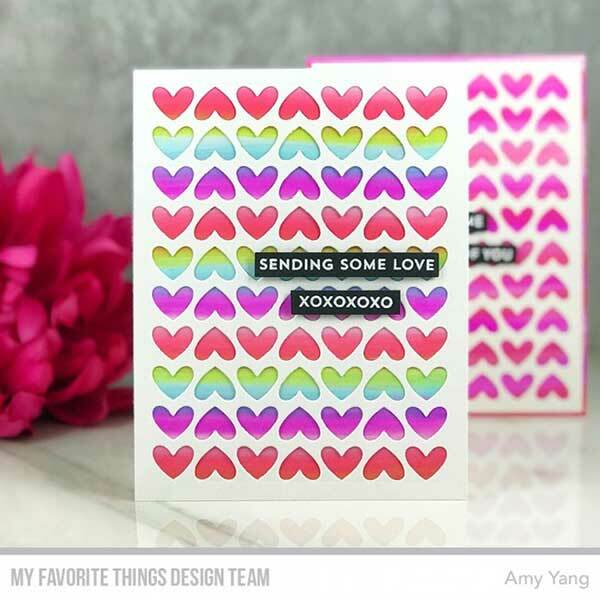 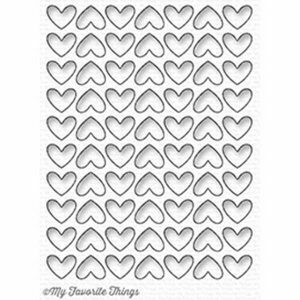 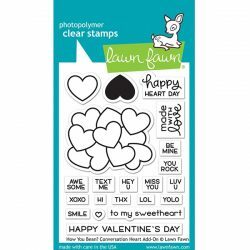 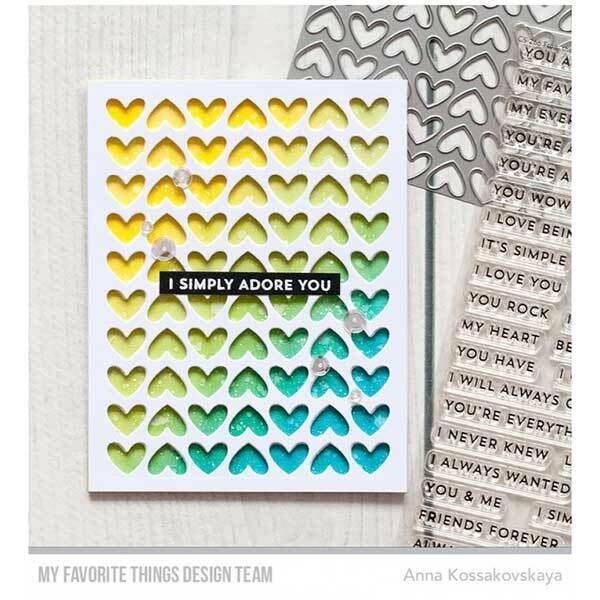 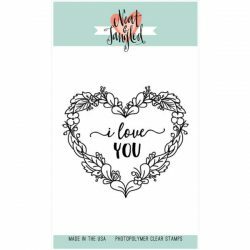 It’s a LOVE-fest — this perfect grid of hearts is sized to fit beautifully within an A2 card front. 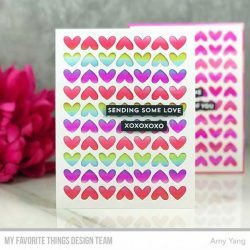 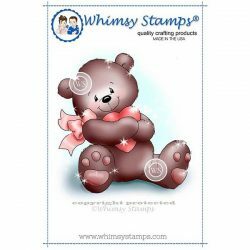 Use the positive, negative, or even create a shaker card! 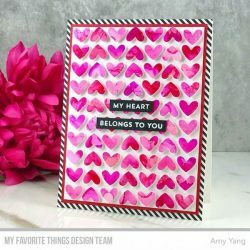 Perfect for Valentine’s Day and all matters of the heart. 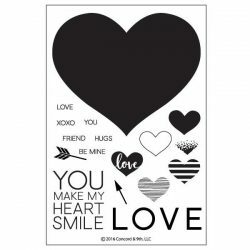 The Full of Heart Die-namics measures 3 ¾” x 5”.